On this Veterans Day we remember those who have served and thank you all for your service. We are 55 days removed from the season finale at Sonoma where Josef Newgarden captured his first Verizon IndyCar Series title, but that does not mean the world of open-wheel racing takes a break. When you look forward to the 2018 season opener in St. Petersburg, there are just 120 days until another green flag flies. Throughout the offseason here at Open-Wheels we will periodically publish an “IndyCar Round-Up,” a quick go-to reference to update you on some important offseason events that should be noted. Additionally, these posts will feature links to all stories that we have posted since the previous IndyCar Round-Up. 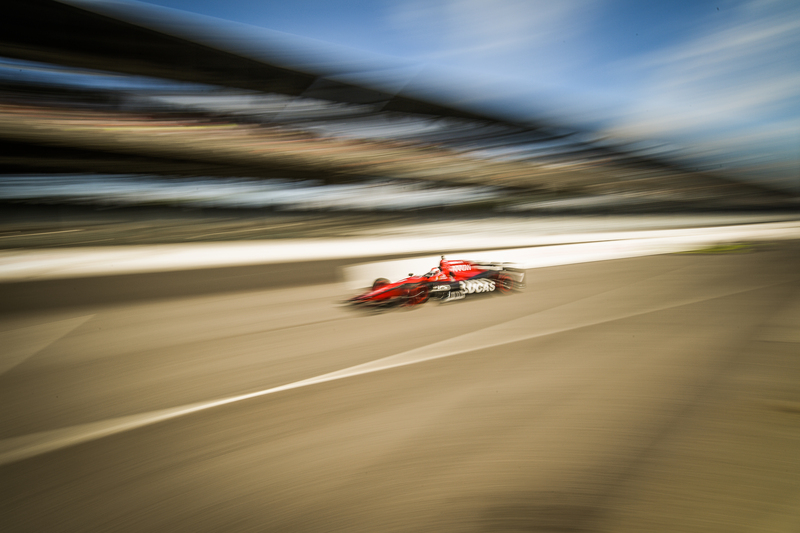 Let us know your feedback as we strive to give fans the best IndyCar experience possible. Silly season isn’t restricted to just drivers, right? This week we saw announcements from both Schmidt Peterson Motorsports and Rahal Letterman Lanigan Racing that outlined some staff changes aimed towards improving the two-car programs. In October, RACER.com was the first to report Todd Malloy’s move from Chip Ganassi Racing to SPM as the new technical director of the unofficial “Team Canada.” Malloy brings a wealth of experience, including a win at the Indianapolis 500 with Dan Wheldon in 2011 with Brian Herta Autosport. Malloy even led his own engineering company from 2010-11, providing race engineering services for interested motorsports clients. In addition to Malloy, SPM introduced Billy Vincent (formerly a Penske chief mechanic) as well as crewmen Joey Curotte, Norm Hornitschek, and Chris Nash. Rahal Letterman Lanigan Racing has been busy as well, adding Tom German as Graham Rahal’s new race engineer. Eddie Jones will transfer over to RLL’s brand new team with defending Indianapolis 500 champion Takuma Sato. Bobby Rahal and company are banking on the notion that Jones’ relaxed personality will mesh with the seasoned Sato in an attempt to minimize the re-acclimation process. Graham, excited to have a full-time teammate, is looking forward to the adjustments in an effort to bring an effective second set of eyes to setup creation and the race weekend process. “Dad and Rico (Nault) though we were in a good enough place where we could have Eddie work with Takuma, and Tom engineer my car, and that together, it was the smartest way to get the best out of becoming a two-car team again.” Much like other sports, though, championships aren’t won in the offseason, so lets get a few rounds into the 2018 season before we reach a verdict on this new pairing. The Verizon IndyCar Series is considering additional tire allotment standards on race weekends that would allow rookies an extra set of threads, and possibly even an equal opportunity to drivers outside the top ten in points. I have mixed opinions on this. As far as providing another set of tires to rookie drivers, that sounds like a fine idea to me. While many rookies graduate from the Mazda Road to Indy, a ladder series that uses the same tracks as IndyCar, there are still many nuances to learn when driving the big car at these tracks. It is not uncommon to hear drivers stress the importance of track memorization, and rookies must absorb as much information as they can with each time out on the track. If a team did not have to worry as much about conserving tires, as an additional rookie set would help with, they could focus more on a run that is strictly reserved for track familiarization. Where I do have an issue is providing extra tires to drivers outside of the top ten in points. That seems like a gimmick that IndyCar does not need to implement, much like the idea of adding push-to-pass to oval racing. There is a fine line to walk when trying to keep the racing close, and IndyCar shouldn’t be doing what another North American racing series does – manufacture competition. The championship has been as captivating as ever over the last couple of seasons, and for races that have been snoozers lately, tires will not help that product. I don’t see the bonus that comes with providing those drivers an extra set of tires, but Open-Wheels doesn’t make the big decisions so we will sit back and watch like all of you. Much to the delight of IndyCar traditionalists that prefer open rulebooks and complete car development, the Series threw teams a bone this week by confirming a key component of chassis performance will remain open for development. Marshall Pruett did a fine job at reporting the development, stating that teams have the same guidelines to follow for 2018 and most likely 2019. Jay Frye, president of competition for IndyCar, said that the first opportunity for changes would most likely come in 2020. As the situation currently stands, teams are pouring copious amounts of money into off-track simulation devices (such as shaker rigs) to compensate for the reduced on-track testing that teams used to benefit from. Those expenses from track testing seem to have been reallocated to research and development, so are teams really benefiting from testing restrictions or are we still spending the same amount of money? The introduction of the new universal aero kit has provided less bits and pieces that could be damaged, and in turn will save money in crash situations. Thankfully IndyCar has time to evaluate its options when trying to save money on these particular car components, because a solution is necessary. While Juan Pablo Montoya won’t see his shot at a third Indianapolis 500 victory come in a Team Penske car, his prospects for a competitive entry were revived this past week when Sam Schmidt neither confirmed nor denied an unraveling of his deal with French businessman Didier Calmels. Originally slotted to bring driver Tristan Gommendy to Indy driving the SPM #77, rumors state that the relationship between Schmidt and Calmels has begun to erode. The reason for these developments are unclear, though one can imagine that Sam Schmidt has not been pleased to see the media pair his name with headlines detailing Calmels’ past. The Frenchman was sentenced to six years in prison after being convicted of murder, fatally shooting his wife who was allegedly having an affair at the time. Since the September 11 announcement, few media outlets have missed the opportunity to state that SPM joined forces with a felon. In more positive news, though, it appears that there is a real opportunity that Montoya will find himself at Indianapolis in May. When Roger Penske confirmed he will not run a fifth car in 2018, it left one of IndyCar’s most pure talents of the last twenty years on the outside looking in. At this stage in his career, JPM will not settle for a car that is less than capable of winning the race. Barring an unlikely reunion with Chip Ganassi, that leaves a third Schmidt Peterson entry as the best shot for that third Borg Warner Trophy appearance. Stay tuned to Open-Wheels.com as we prepare for the 102nd Indianapolis 500 this May. A.J. Foyt Racing not short on options for #4 car in 2018 – Justin Reschke makes his Open-Wheels writing debut and details the opportunities available for Foyt and some prospective candidates. Forgotten Faces of the 500: Mike Spence – Filling in for Jim Clark at the Indianapolis 500 in 1968, Formula One driver Mike Spence made an impressive impact on the Speedway in just seven days. Indy Lights champion Kaiser poised to seize opportunity in 2018 – Teaming up for four races with his Mazda Road to Indy friends, Kyle Kaiser will make his Verizon IndyCar Series debut with Juncos Racing next season. Indy Lights and Mazda Road to Indy showcase exceptional driver development rates – We detail the successes of Mazda Road to Indy graduates and the flurry of opportunities for those drivers in 2017-18. Mazda Road to Indy Fall Wrap Up – Similar to our IndyCar review, we put a bow on the 2017 Chris Griffis Memorial Test by highlighting the Mazda Road to Indy ladder program.